Your metabolism is what dictates your ability to create energy. This process also plays a primary role in your ability to burn fat and achieve your ideal weight. As someone who believes that having a high capacity to burn fat as energy is an important part of health, I am always working to improve and ignite the metabolic process for those I work with. I find that time and time again, people are engaging in behaviors that are absolutely wrecking their metabolism and they have no idea! In this article I am going to outline some of the top mistakes you are making that are inhibiting your ability to burn fat. One of the oldest and most pervasive myths that people adhere to is that their weight is tied to the amount of calories they eat. This is becoming a very outdated way to look at how the metabolism works. In reality, the types of food that you eat can alter your hormones and completely alter your metabolism to burn fat more or less efficiently. What does this mean? Eating a calorically similar diet of refined carbs versus low-glycemic whole foods will have completely different effects on your metabolism. Also, consuming a ketogenic diet versus a higher carb diet will have completely different effects on how your body burns fat, regardless of caloric intake. In fact, your metabolism and hormones go beyond food altogether. The 5 primary hormones that regulate fat burning are adiponectin, grehlin, insulin, leptin, and cortisol. A variety of factors influence these hormones including stress levels, sleep quality, exercise routine, diet, and hydration levels! Reducing your carb intake and increasing your healthy fats will go a long way in improving your metabolism. 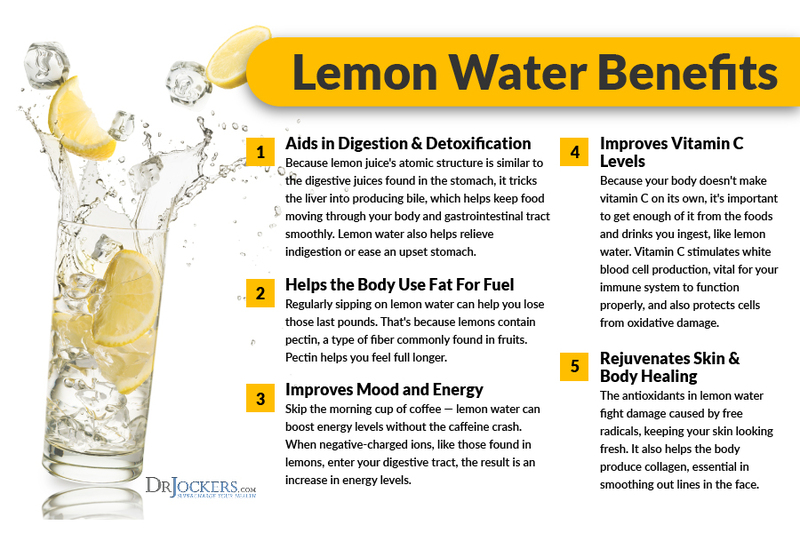 This will simultaneously help to keep blood sugar stable, insulin levels down, and improve fat burning. When carbs are consumed in excess, they can actually be converted into fats which are stored in adipose tissue. As we will discuss shortly, shifting the body into a state of fat burning is as simple as reducing carb intake and increasing healthy fats. Research backs this up by showing that a low-carb, high-fat nutrition template outperforms a low-fat template in measures of diabetes, obesity, and inflammatory factors (1,2). 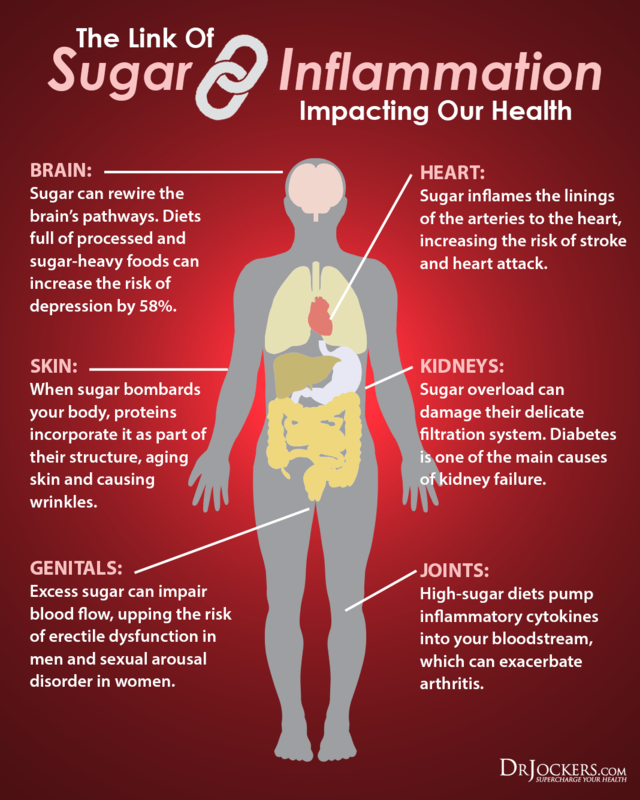 As you can see below, having chronically high blood sugar has a wide range of effects on the body that are undesirable. Your exercise habits will also play an important role in your hormonal health. Most people go about exercise in the pursuit of weight loss in the wrong way. Chronic, low-intensity cardio and working out every day are not necessary and could actually be harmful to the body. Short-duration, high-intensity exercise where we intensely train the body for short periods and give rest days between workouts is more effective for optimizing hormones like growth hormone, ghrelin, and insulin. Recent studies have confirmed that these shorter, more explosive types of workouts provide a much greater benefit for weight loss when compared to other forms of exercise (3, 4). Good examples of suitable workouts include 30 second all-out sprints with 1-4 minutes of active recovery (walking or low-intensity movement) or a boxing class. The graphic below also outlines a great full body HIIT workout that can be done almost anywhere! If this seems far too intense for you, you can modify it. A good place to start would be 30 seconds of each exercise, followed by 30 seconds of rest. You can also modify the movements to make them easier or less straining. However, the goal should be that you push your limits so your body can adapt with the proper hormonal mix that comes from high intensity exercise. Another somewhat hidden cause of poor fat metabolism is the accumulation of toxins in the body. For example, estrogen is a hormone that promotes the retention of fat. 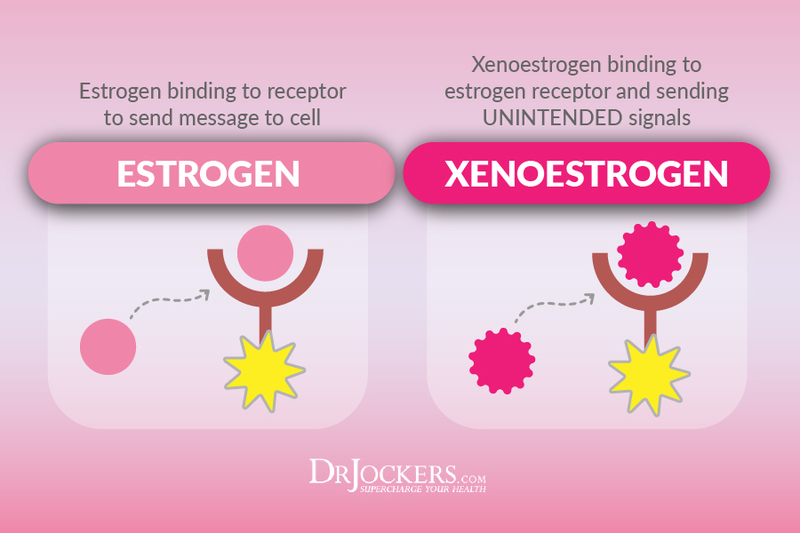 In today’s society, there are a number of chemicals in the food supply that mimic estrogen in the body and have the potential to completely throw off hormone balance. You can reduce your exposure to these things by eating organic vegetables, pasture-raised or wild-caught meats, and avoiding synthetic plastics or beauty products. Take a look at the things you put in or on your body and strive to only use products including as natural ingredients as possible. Shower supplies, eating utensils, water bottles, lotions, make-ups, un-filtered water, and home cleaning products are all common culprits. One excellent database for checking your cosmetics is the Environmental Working Group’s Cosmetic Database which can be easily accessed through a google search. Most people are spending their time focusing on the major macronutrients: Carbohydrates, Protein and Fat. 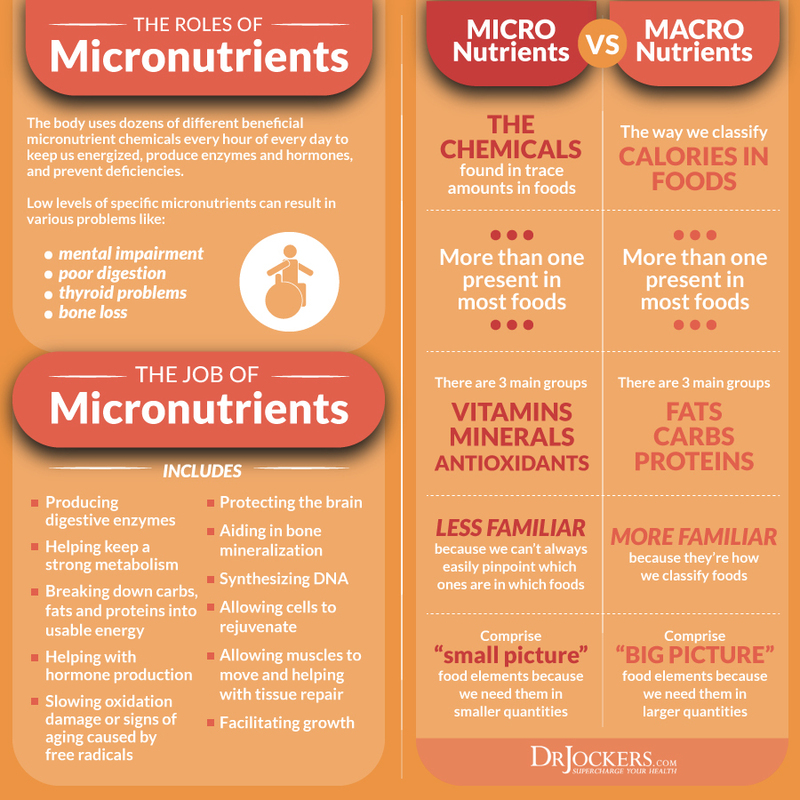 While the amount of each of these is an important factor in a healthy nutrition plan, what may arguably be more important is the amount of micronutrients. Micronutrients include vitamins, minerals, antioxidants, enzymes, fatty acids, and all kinds of vital compounds found in the foods you eat. There are a number of ways that deficiencies in specific micronutrients can influence your metabolism in a way that promotes fat gain. For example, nutrients like iodine, selenium, and zinc play critical roles in thyroid hormone conversion. If these are deficient, we may see lower production of thyroid hormones and a slower metabolism. The following are strategies to ensure you are ingesting a complete profile of micronutrients. Red and Orange Foods tend to be high in carotenoids that are great for the eyes, heart, immune system, and skin. Green Foods are rich in trace minerals, B-vitamins, chlorophyll, and Vitamin K. Leafy greens in particular are an excellent addition to a low-carb nutrition plan that supports fat metabolism. Blue and Purple Foods are often high in powerful antioxidant compounds called anthocyanins. These compounds are highly anti-inflammatory, protective against heart disease, boost brain function, and even enhance exercise performance. They even seem to synergize well with a high-fat diet to improve fat burning (5). Other colors of foods have their unique benefits as well as is outlined in the graphic below! Minerals are needed for enzymes to function properly in addition to supporting vital metabolic processes like thyroid hormone production. 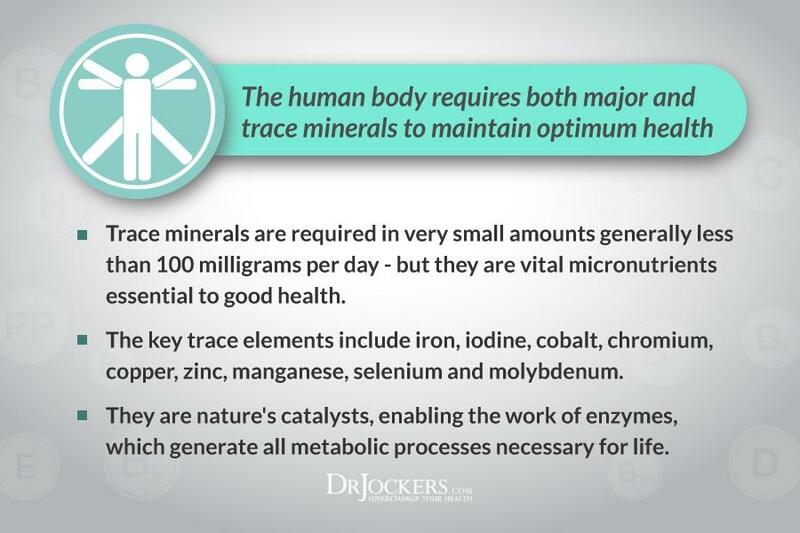 Without adequate mineral intake the body will not be equipped for proper energy production, building the blood, bone formation, maintaining, optimal hormone levels, and a lot more. 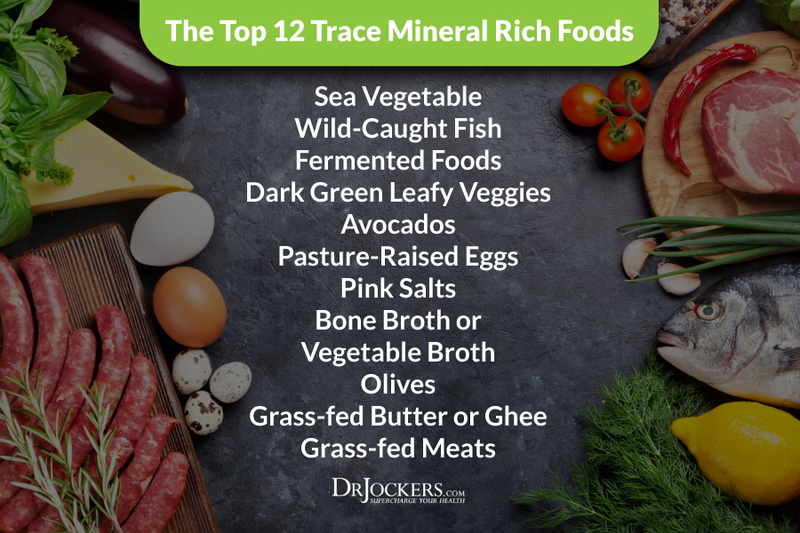 There are a variety of foods that are great sources of minerals. Some of the best include sea vegetables, wild-caught fish, leafy greens, and bone broth. The graphic below outlines by top 12. Short-sighted farming practices have led to poor soil conditions in many parts of the country. This makes it somewhat unreliable to determine whether the foods you are eating actually contain the levels of nutrients they should. A huge mistake that people make is leaving digestive issues unaddressed when trying to sort out their metabolism issues. If you have any number of issues such as low stomach acid, SIBO, leaky gut, or dysbiosis (bacterial imbalance), then it is going to be hard to absorb nutrients and regulate hunger. The result will likely be a sluggish metabolism that leaves you feeling tired and overweight. If you are dealing with chronic digestive issues consider working with a functional nutrition or functional medicine practitioner to sort out underlying issues. 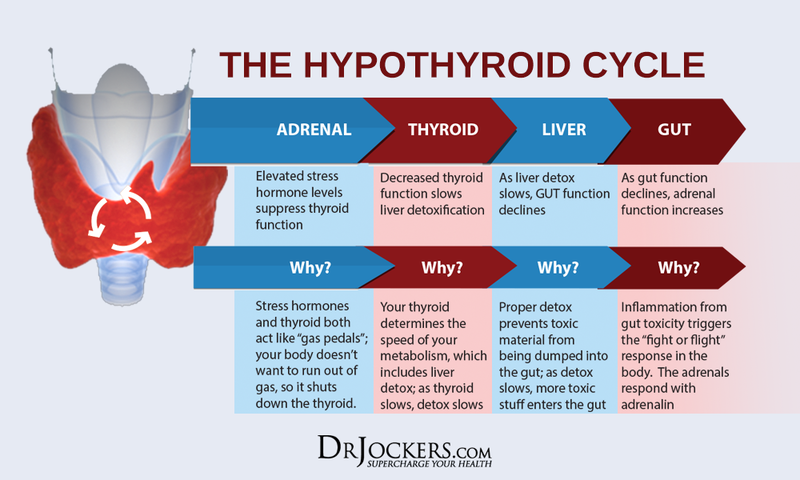 Poor digestion can also cause a negative spiral of effects that impact thyroid hormone conversion and metabolism as outlined in the graphic below. 1. Toxins that increase the demand for liver detoxification. This highly sophisticated process the liver uses to deactivate toxins requires many different nutrients to perform. This category would include food products that have pesticides, herbicides, anti-biotics, heavy metals, artificial sweeteners and other chemical agents on them or within them. 2. Sugar: High blood sugar and the process of glycolysis depletes vitamin D, calcium, magnesium, chromium, B vitamins and vitamin C when consumed in excess. Sugar can even contribute to a breakdown in the production of cellular energy, which will likely slow the metabolism as a protective mechanism (6). 3. Plant Based Anti-Nutrient Compounds: These include oxalates, lectins, and phytates. Animals protect themselves from predators by fight or flight. They have well-developed muscles to escape or fight back against their pray. Plants are stationary and unable to use physical force or run away from their predators. Instead, they produce certain compounds that are either poisonous or act as micro toxins for their predators. A poisonous plant such as the roots of water hemlock, cause seizures, vomiting and potentially death to people or animals that consume them. Micro toxins are different in that they do not cause death or even an immediate inflammatory reaction. Their response is more subtle and is cumulative in that the more one consumes, the more it causes problems. Micro toxins act in such a way to weaken the species that eats them. The 3 well-studied plant micro toxins include oxalates, lectins and phytates which are present in many foods that are considered healthy. Phytic acids are typically high in things like grains, beans, and nuts. It is thought that these foods bind and prevent the absorption of minerals like calcium, zinc, and magnesium (7). Phytates are most commonly found in grains and legumes. Lectins are highest in grains, legumes, nuts, seeds, and nightshade vegetables. Again, you don’t need to avoid these all together, but it may be wise to reduce if you have digestive health issues, chronic pain and thyroid issues. 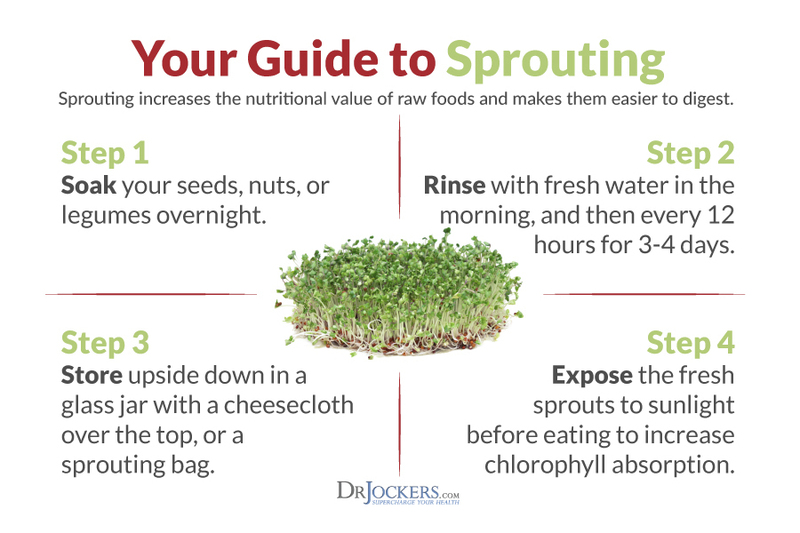 You can also do things like soak and sprout your nuts and seeds to reduce lectin content. Non-organic foods tend to be higher in pesticides which deplete nutrients from the body and damage the gut. Processed Vegetable Oils are highly inflammatory and do not provide a source of fuel for the body. The more of these we consume, the more omega-3 fats we must consume to offset harmful effects. As mentioned above, soaking your nuts and seeds in filtered water the night before you consume them helps to reduce phytic acids, lectins and anti-nutrient content. Some nuts and seeds will actually sprout when you soak them, which unlocks a higher nutritional profile. The soaking and sprouting process makes the nuts and seeds more bioavailable and easier on the digestive tract. You can also buy them pre-soaked and sprouted to make it easier if you have a busy schedule. I love these sprouted pumpkin seeds and sprouted almonds. 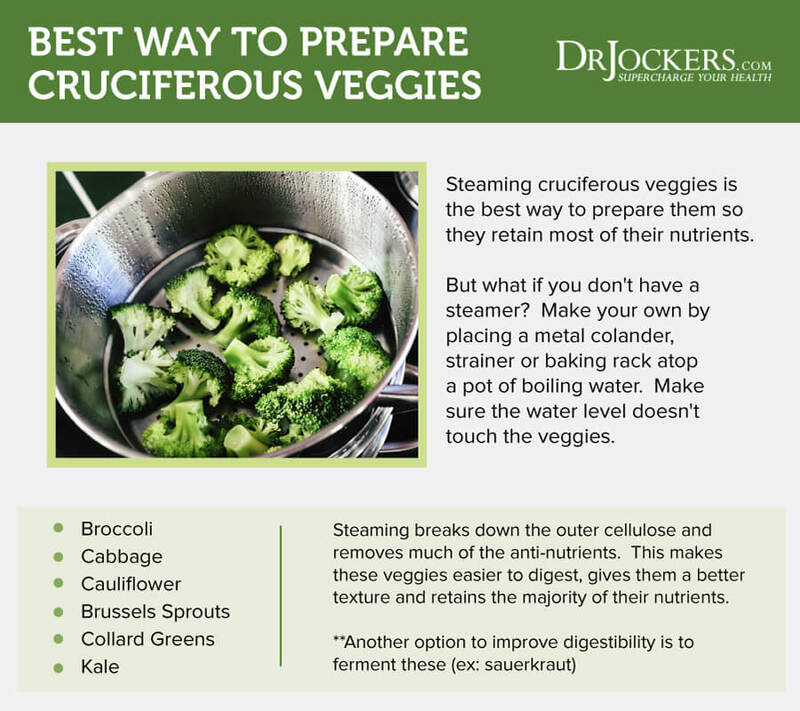 Raw cruciferous vegetables can be a source of anti-nutrients that are tough on the digestive tract. A good way to reduce these is to steam your vegetables before eating. This also serves to gently break down cellulose fibers that can be hard on the digestive tract. It is actually easier than you think to misinterpret thirst for hunger. In fact, being dehydrated can send a similar signal to the brain as having low blood sugar. This, of course, sends a signal to the brain that it is time to eat. If you are following a low-carb nutrition plan and frequently get hungry between meals, you are likely either not eating enough fats or you are dehydrated. Instead of reaching for a snack, first pour yourself a glass of water and see how you feel. There are all kinds of recommendations for water intake. What I have personally observed clinically is that most people do not drink enough throughout the day. Ideally, I like to see someone consume 3/4 of their entire body weight in ounces of water per day. Obviously if someone is 3000 lbs+ this is highly unlikely. However, if you are lean, this isn’t hard to do if you continually stay hydrated between meals. One of the best hydration strategies is super hydrating early in the day. For example, drinking 16-32 ounces of water before your first meal is a great way to flush out the body and restore dehydration that has occurred over night. I also like to emphasize that drinking should be done away from meals to promote better digestion. Proper hydration in the body depends on both water and minerals. Adding a pinch of sea salt to your water is a great way to add some electrolytes. Also, the addition of organic acids like acetic and citric acids is a great way to stabilize blood sugar and improve hydration. These acids can be consumed in the form of apple cider vinegar and lemon juice, respectively. Just add a splash to your water and this can help ward off cravings until meal time. So this is more of a hack rather than a health tip, but it is an excellent way to hydrate, boost energy, and take care of cravings at the same time. You can do this by mixing up a tall glass of exogenous ketones. 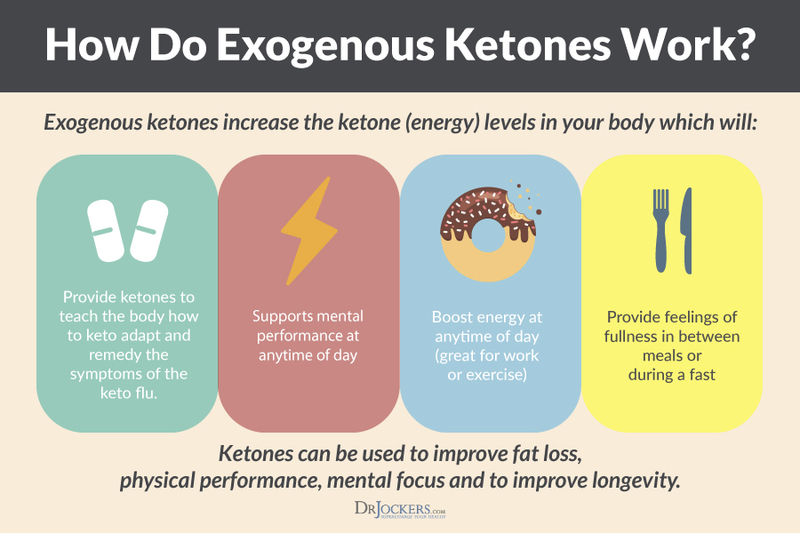 When you follow a ketogenic nutrition plan, your body begins to convert fats into something called ketones. Ketones are what are ultimately transported to the cells and converted into energy. Now we have excellent options for getting ketones directly into our body’s. These typically come in powders that can simply be added to a cup of water. My favorite brand is Keto Edge. The recommendation used to be that eating frequent but small meals was the best way to keep the metabolism high. This is actually the opposite of what we know now. In fact, going longer periods without food is a powerful way to improve your metabolic flexibility. Metabolic flexibility is when the body is able to easily switch between burning fats and sugars as a primary energy source. An individual who is metabolically flexible is very good at burning their own body fat for fuel and can thus go long periods of time without food and maintain great energy, strength and mental clarity. The hormone insulin is an energy storage signaling molecule. Each time you eat, insulin rises and tells the body to store fat. When you go longer periods without eating, or you eat less insulinogenic foods you obviously produce less insulin. 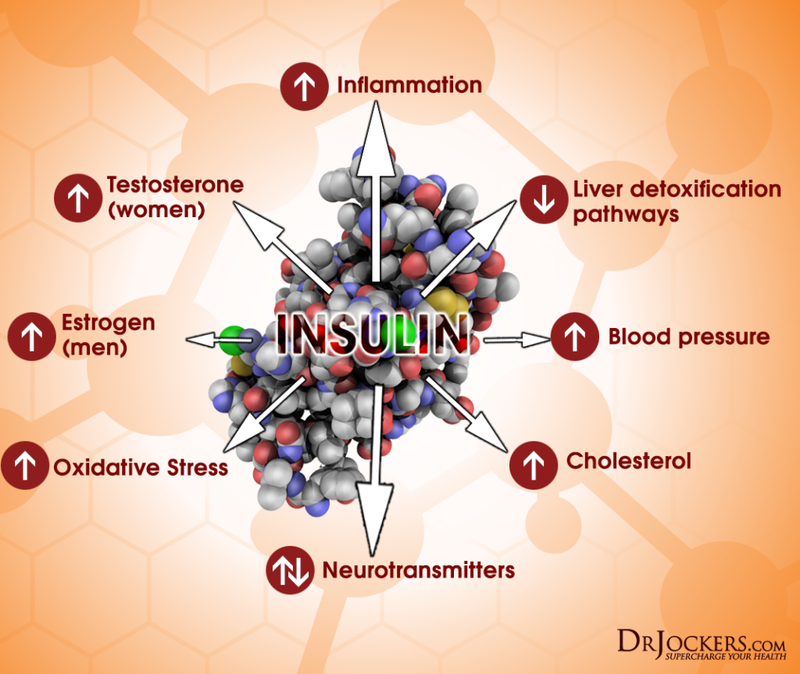 Lower levels of insulin in your blood mean that you will be burning fat more than storing it! 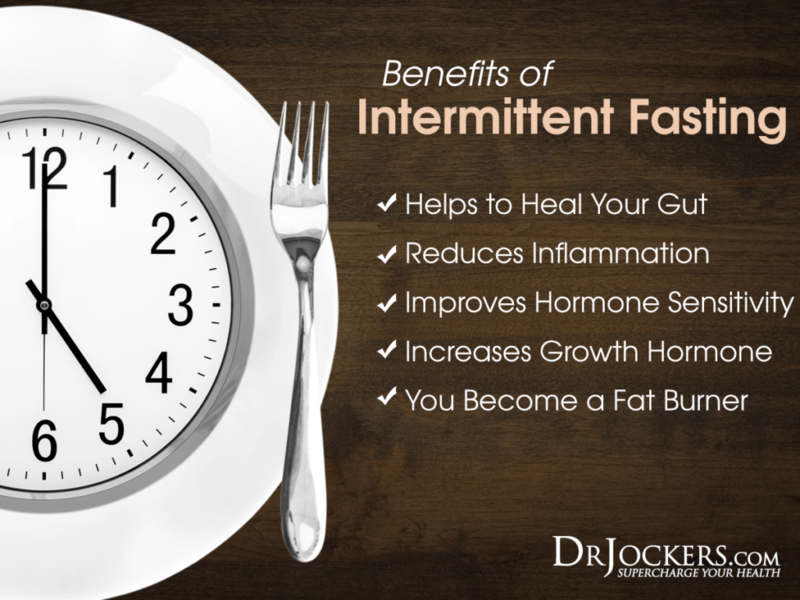 Intermittent fasting, also referred to as time-restricted eating, is a practice that is great for building metabolic flexibility. Fasting is simply the time between meals that you are not eating. By lengthening this window, you can train your body to tap into fat stores and build your metabolism. To start, go 12 hours between dinner and breakfast. Try this for two weeks then push on to 14 hours. Next, work on getting up towards 16-18 hours. Find the window that your body responds to the best. The fasting window is a great time to consume lots of water and herbal teas. Finally, shifting towards a ketogenic style of eating will be one of the best ways to build your fat metabolism. 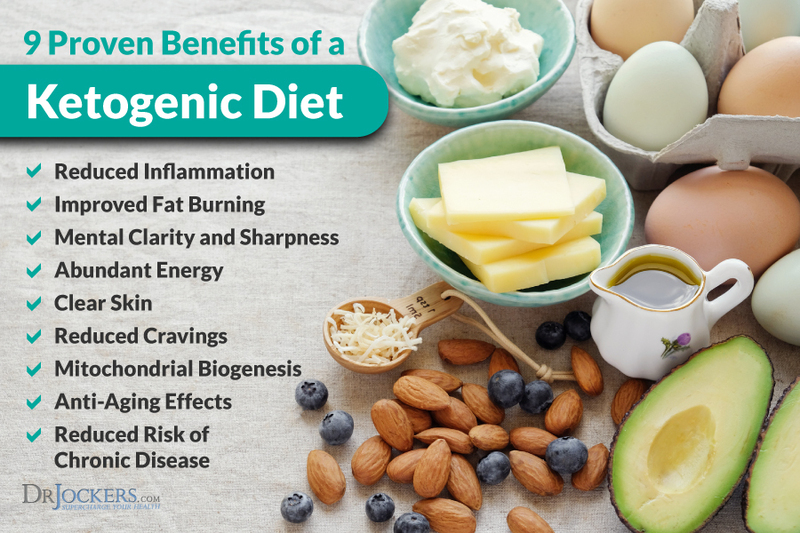 In combination with intermittent fasting, a ketogenic lifestyle is one of the best ways to build metabolic flexibility that will allow you to lose weight, have more energy and stop obsessing about food. What are some types of herbal teas you recommend?